LG has raised the benchmark of smartphones with Optimus G. Recently launched in Singapore market, the Optimus G is impressive and, in my opinion, the best-value high-performance smartphone. the differences of each model. As a Samsung Galaxy SIII owner, I cannot help but compare this latest product with it. Could Optimus G be a better Android smartphone? Personally, I am happy with the user experience of the Optimus G and have no problem replacing my Galaxy SIII with the Optimus G. So that really summarises my impression on the Optimus G.
Build Quality – the Optimus G feels solid, with back panel using crystal reflection material, and the sides using dense gloss plastic. The hardware buttons feel firm and just the right size. The IPS+ display appears crisp without over-saturation, producing better whites, stronger blues. The screen glass surfaces does not attract fingerprints and grease, kudos to that. Processor Speed – the Optimus G runs on quad-core 1.5GHz Snapdragon S4 Pro processor with 2GB RAM. It feels fast and responsive to touch and slide gestures. Personally, I feel it runs smoother than the Galaxy S3. MHL – I am glad the Optimus G supports Mobile High-Definition Link, an industry standard to connect audio and video, typically via micro USB made popular by Samsung Galaxy smartphone series. I tested my MHL cable (the same one that works with Galaxy S2, not the S3 one). 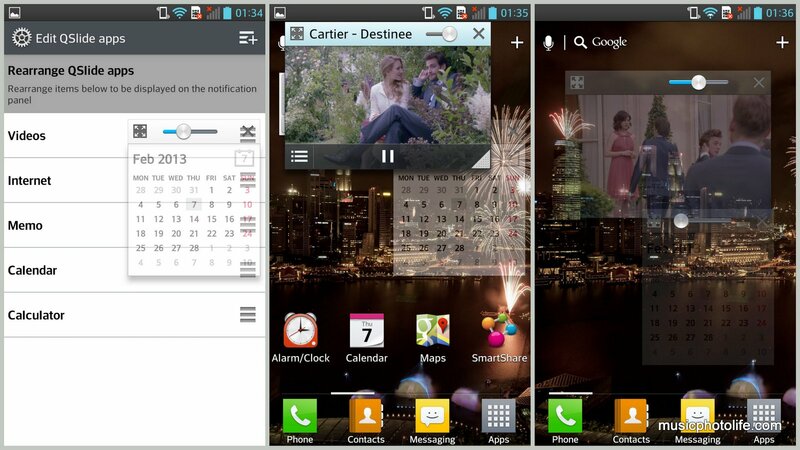 The Optimus G recognises it and displays a special menu screen so that you can easily consume your multimedia content. Alternatively you may choose to close this app and the Optimus G screen will be mirrored to the external display. Caution, though, for the smartphone will get quite hot when under heavy usage. 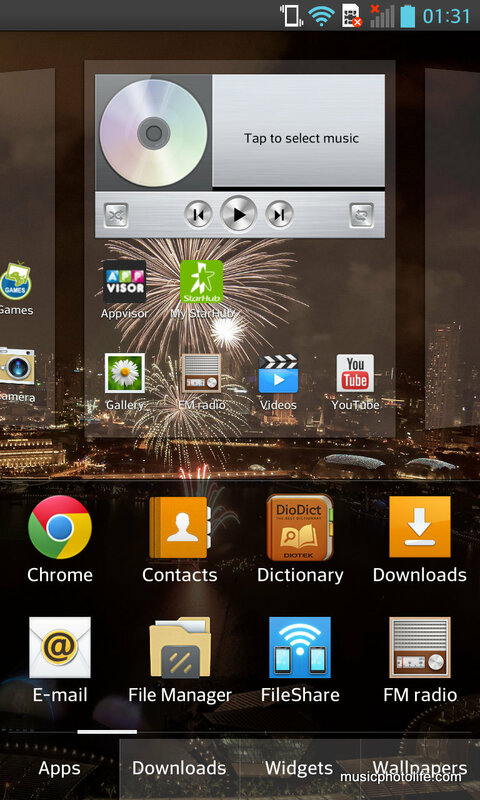 LG Optimus G runs on its own user interface called Optimus 3.0. The UI offers additional features and differentiates from the competitors who also designs their own UI. While many purists would scorn at such customisations, I like well-designed UI and pre-installed apps that makes Android so much more usable out of the box, instead of having to download (or purchase) third-party apps. Zooming – many pre-installed apps like Contacts allow you to change the font size just by using 2-finger pinch gestures. This is more convenient than having to go to display settings and change the global font size. You can also adjust the thumbnail sizes of the Photo Gallery using the zoom actions. Optimus G also has the ability to zoom in to live video playback in realtime. This will be a splendid feature for fans as they watch videos of their idols in close-ups. 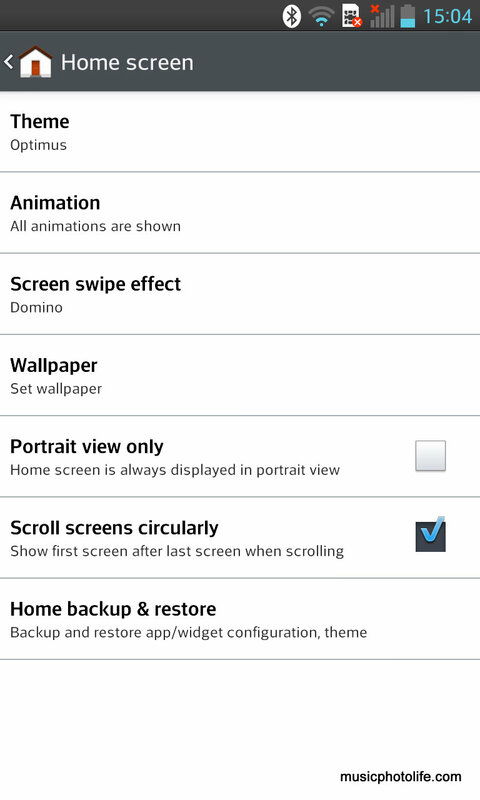 Notification Panel Quick Icons – Optimus G allows user to select the quick icons, as well as the QSlide apps, to display on the notification panel. So you can arrange the icons and select specific ones to show. Home Screen – you can select themes, change the screen swipe effect, backup and restore the apps and themes, and even support landscape view. You can also customise the home screen folder colours. You can also replace any app icons, even create your own photo icon using the camera. The app drawer icons can also be resized so that you can see more. I also like how easy it is to manage apps on the Home Screen, allowing me to add, remove and arrange the apps within a single view. Such rich features are only available with third party premium launchers, but Optimus G has them pre-installed. 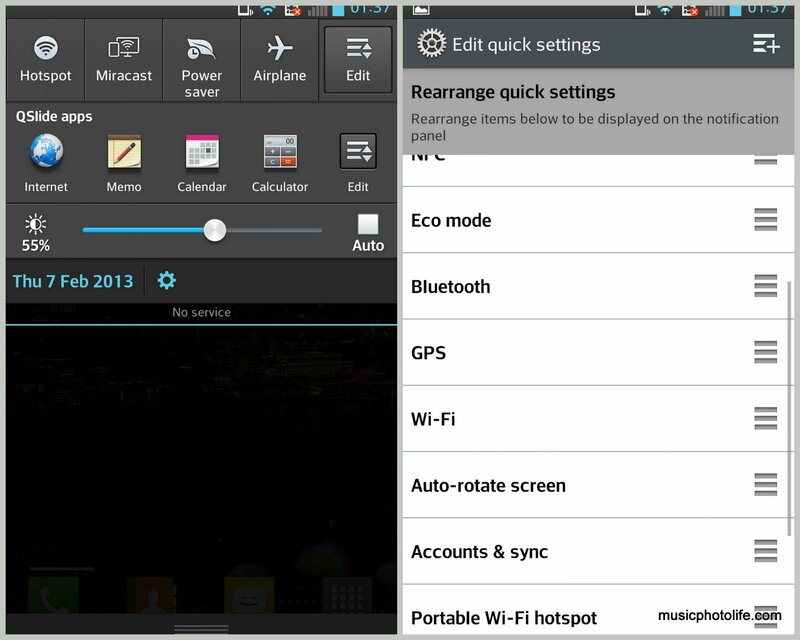 QuickMemo – this is a feature to let you capture screen shots quickly and scribble on it before sharing online. The pen strokes are virtually lag-free, and I feel really natural writing on it. This is LG’s answer to multi-tasking. You can display up to 2 QSlide apps as resizable floating windows which you can interact independently. To make them run in the background and yet continue to display the content, just slide the opacity bar. With this, you can, for instance, run videos to listen to the audio while working with other apps. And the Optimus G does this without any lag. In the promotional material, LG boasts of camera features like Time Catch Shot, Cheese Shutter, and Smart Shutter. Time Catch Shot starts capturing the images even before you press the shutter, the Cheese Shutter lets you take photos with voice command, and the Smart Shutter claims to reduce fuzzy shots by analysing the camera movement. Although the Optimus G is fitted with a 13-megapixel camera resolution, its image quality is no better than an 8-megapixel camera. The images lack sharpness and appears smudgy when viewed at 100%. But thanks to the higher pixel count, the camera offers sufficient resolution when downsized for posting on social platforms, and I like its quick start-up (within 1 second) so that I don’t miss the moment. Fitted with 2100mAh, the Optimus G battery drain is on par with Samsung Galaxy S3. I avoid giving actual figures because the actual usage varies with individual. For your information, my S3 battery drain is about 10 hours with 3G data network. If I turn off Sync and run fewer background apps, I can achieve 15 hours. 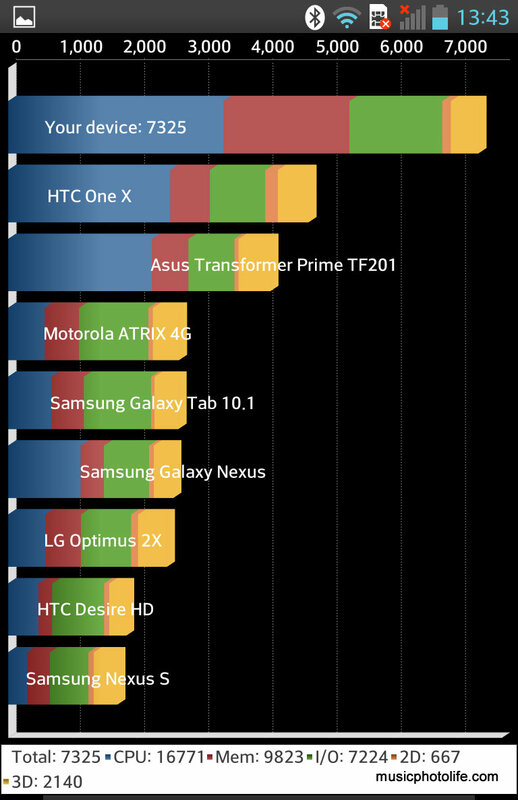 I really enjoy using the Optimus G and there are practically no usage problems, but there are just a few nitpicks. Non-removable battery. I do not understand why phone makers would make the battery non-removable. There is no need to achieve slim device profile. In fact, almost every Asian consumer would purchase a thick phone casing to protect the phone. No external microSD card slot. When I needed more storage space, the Optimus G cannot grow to meet my needs. Heat. The Optimus G gets hot easily, thanks to the powerful processor. But the smartphone is smart enough to detect overheating and will either stop the charging circuit or initiate an auto shutdown. It will also cap the maximum brightness when temperature is too high. If I haven’t made myself clear, I like the Optimus G. It’s got a great physical build, runs fast and smooth, and retails at S$768. Users would appreciate the interface’s customisation capabilities without having to install third party apps. It’s good to see many Android brands improving on their products and to give consumers like me choices for my next smartphone upgrade. 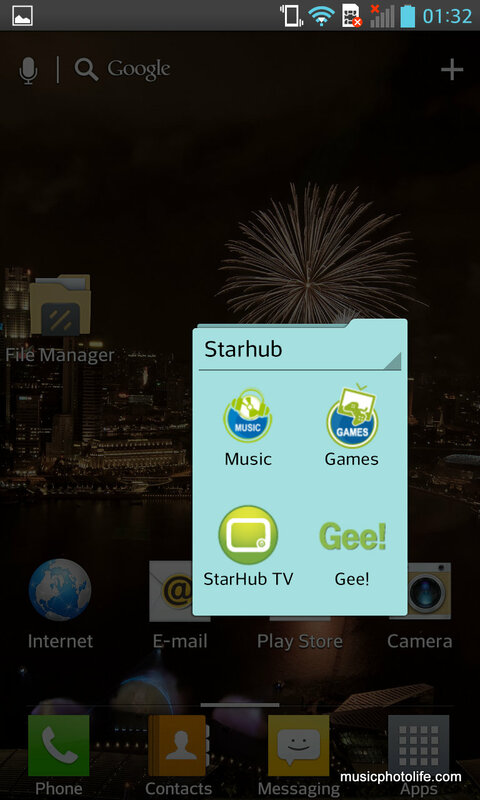 This review is also published on StarHub Community.